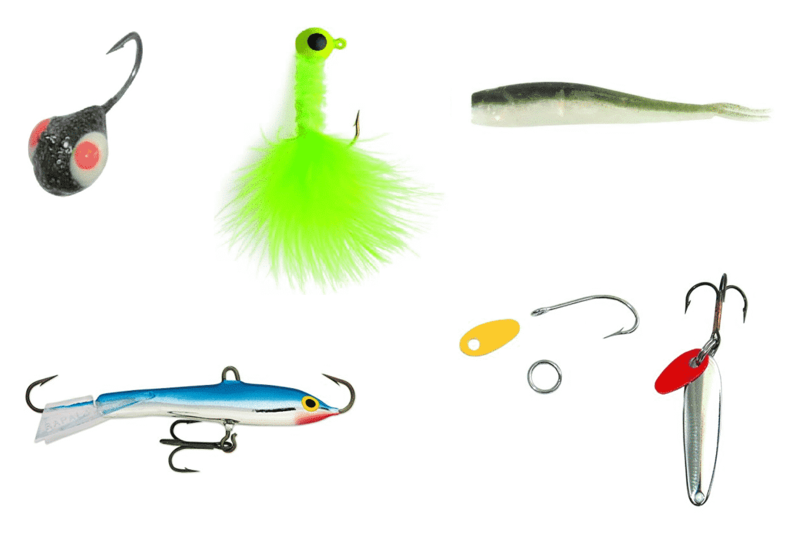 Trying to choose the best crappie lures for any given day of fishing can be tricky. 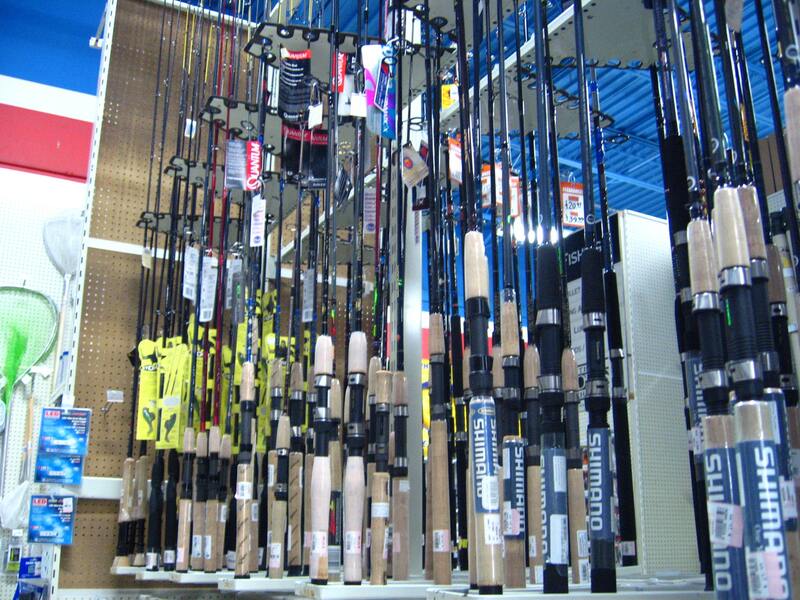 If you’ve ever been down the fishing aisle at your local big box store you know there’s a ridiculous amount of lures and bait to choose from. After you finally make your decision on which one to pick you then have to choose one of about ten different colors, which always turns out to be the one the crappie aren’t biting that day. 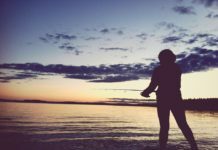 With so many variables to take into consideration – water clarity, depth, season, structure, technique, weather and so on, it makes it hard to whittle down your choices. Obviously you can catch crappie (as well as other fish) on just about anything if you put in enough time, but I’m here to tell you what works well for many crappie fisherman (including me). Ask any pro crappie fisherman what their favorite crappie rig is and they’ll probably mention minnows or jigs. Occasionally you may hear spinners and crankbaits being thrown around as well. Although the proper lure/bait choice really depends on a number of variables, here are what are often considered the best crappie lures in the jig, minnow, spinner, and crankbait categories. It should be noted that this product has been made to the high quality using the high-quality material. The Southern Pro 271 crappie kit manufactured by Southern Pro is a masterpiece when it comes to fishing. It should be noted that the kit is equipped with an 18 compartment tackle box which is a great deal for the amount that the customers pay. This product weighs roughly about 1 pound and dimensions are 11 x 7 x 1.8 inches. 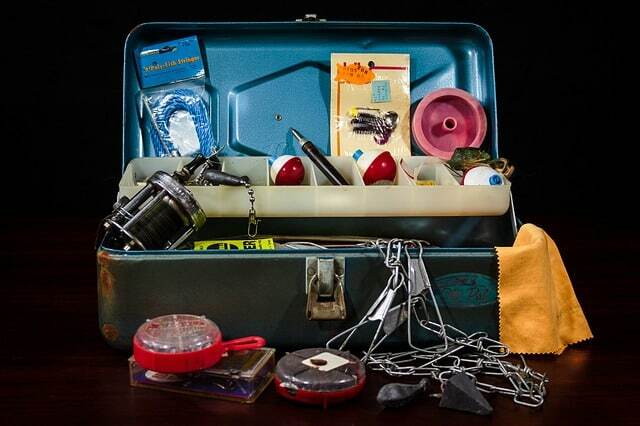 Experience the difference between ordinary fishing and high-quality fishing with this amazing tackle box kit. Make your fishing experience an unforgettable one with the Eagle Claw Crappie Jig. This product is truly a value for money deal and the customers will be guaranteed with high quality and durability by the manufacturer. It actually hits the market with 6 pieces per retail. It is available in multiple color selections and all you have to do is to grab the most suitable color to make your hunt. It should be noted that this Crappie Jig is pretty easy and convenient to use. This is among the most durable products that fish hunters have ever come across. It has specifically been designed to meet the customer specifications and in the process, manufacturers have succeeded to a great extent. It should be noted that this beetle spin structure is convenient for both novice and avid angler. This product which is being manufactured in China comes to the market in a dual color combination. Do not just hunt, but also make full use of your fish hunting experience by using this unique Beetle Spin Nickel Blade. The brand name “Worden” is heavily attached to fishing in America. They have been the pioneers of exploring new heights for fishing within the United States. This product could add great value to your collection. The spinner structure makes it ideal for the purpose and the manufacturer guarantee high durability and quality with this super product. This product is available in multiple colors and you could easily fool the fish to make the most of it. Get along with the familiar US based brand to accompany your fishing experience. This is the simple plastic version of the famous Shad Rap. The unique lip design facilitates quick and hassles free diving. It should be noted that the “distressed minor” signal wave is in the ideal decibel range to be heard by everyone. The lightweight body doesn’t put much weight on your other equipment and in the process; it makes things fast and provides great control to the user. 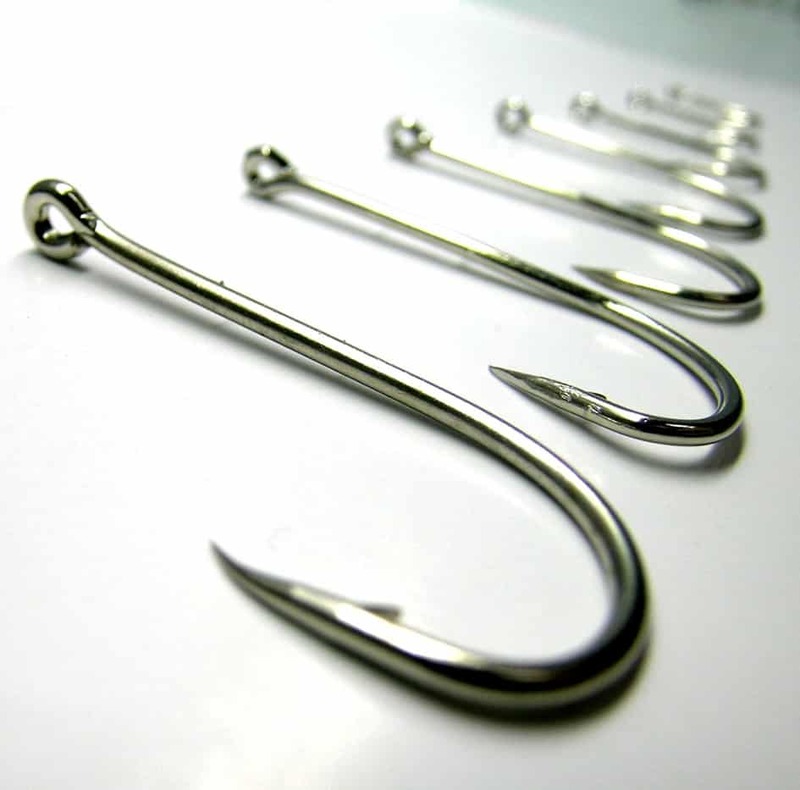 The VMC Nickel hooks featured within products are a great eye catching option that it carries. It could run to a depth between 4-6 meters. This high-quality product is manufactured by All Bill Lewis which is a well-reputed company in the US. It should be noted that this product is equipped with a set of interior rattles which helps to make a lot of sounds as you poke it in. The realistic paint is a great plus point to get hold of the fast moving fish. Though these products are highly being imitated it never gets outdated. The effectiveness of the product has highly being valued by the previous users and a remarkable percentage of them have made repeat purchases as well. It should be noted that this live crappie is being pre-rigged with a high-quality VMC® powered needle point hook and special treble belly hook. The unique color patterns and the streamline body shape make this the ideal product for clear-water presentations. This product weighs only 25 oz. and is truly a value for money deal. 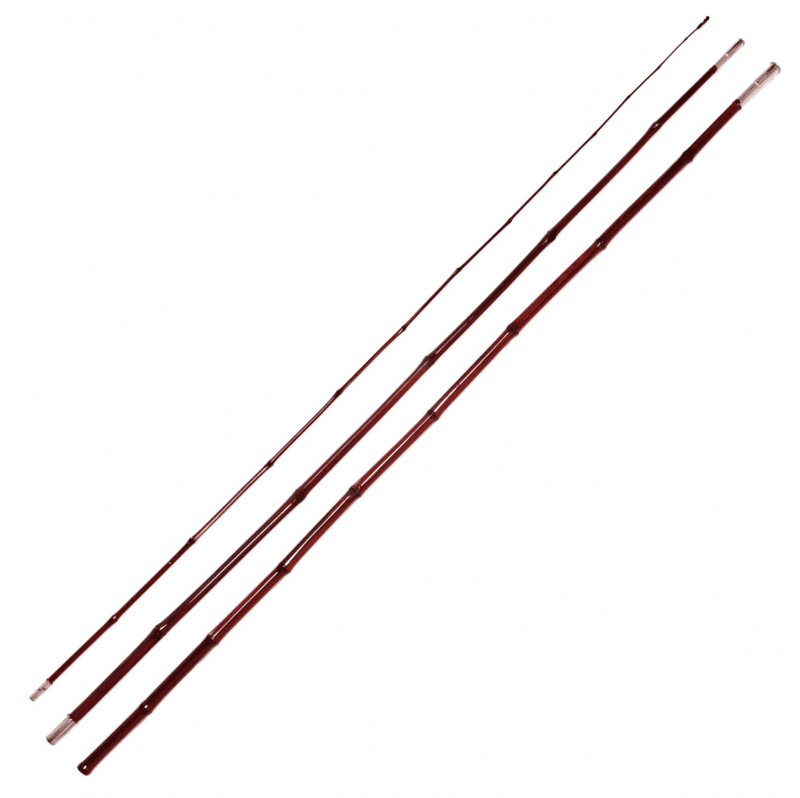 The three pack model is a great carry-out option for the fishing lovers who want to explore new dimensions of fishing. Berkley PowerBait is the pioneers of making the ordinary novice anglers good and the good novice anglers great. It should be noted that these products are results of great experimental work done by the Berkley scientists and they have managed not to miss out on any of the options. This product gets along well with spinner rigs, jig trailers, and all the other bottom bouncing rigs. The lifelike detail provided by the 3D eyes is a great trap set by them to fool the fish. The unique spin tail design promotes great subtle finesses presentation. This product is 2 inches long and is available in the black shad color. The unique round shaped jig head lures along with the luminous color options like red, orange, and yellow will easily send your bait down to the bottom. This is a great gadget for some quality underwater action and it never disappoints the users. This product comes with a kit which has soft bait as well. This bubble rich bait is something that fishes will fall for. These round shaped bass jigs are ideal for flipping, pitching and casting to deep waters and it will give you the intended results in no time. Fishing is quite tough, but surely not with these bass fishing lures kits. These plastic lures come to the market in a 6 piece set and it includes 2 poppers, 1 minnow, 1 pencil, 1 VIB and cranks baits. 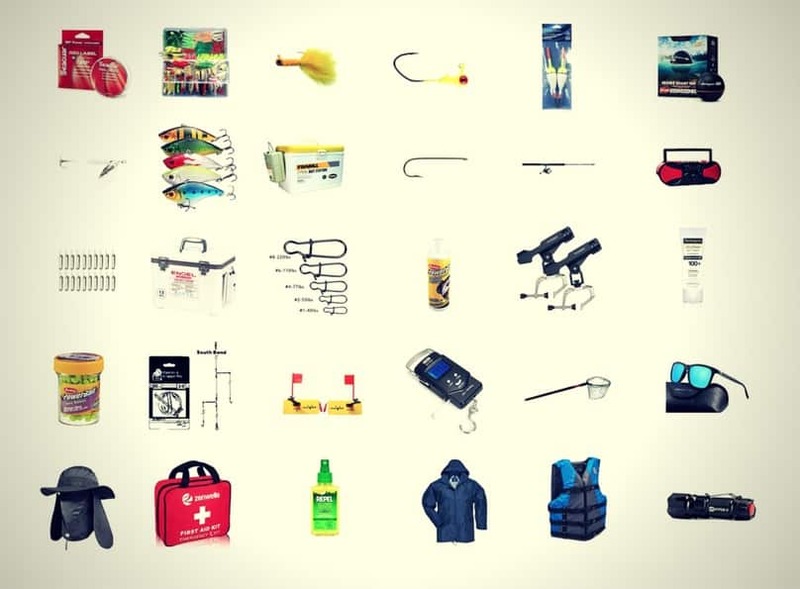 This kit could be used to hunt for Bass, crappie, bream, trout, salmon, catfish, marlin, Muskie, northern pike, and many other types of fish. The stainless steel rings are highly durable and serve the purpose very well. The manufacturers have used a combination of plastic and metal to produce this amazing masterpiece. You can choose your favorite color combination from a set of unique and eye-catching color combinations. This is the kind of product which is ideal for large summer and spring fish hold to make the best of the extra time that you get. This product is 3.5 inches long and it comes with a color pallet which includes 5 attractive colors. This is like an easy meal for the fish and they will easily fall for the traps set. The beauty of the product is in the simple yet the high-quality structure. Make this the best deal for your unique fishing experience. The manufacturers have been keen to wrap these lures with some bright colors to make sure that it attracts the fish in the waters. It should be noted that each of this sets comes with two sharp treble hooks which are very strong and also serves the purpose very well. The size ranges from 1.57 to 3.66 inches to the length with the exclusion of hooks. They have used a combination of stainless steel and PVC plastic to manufacture this masterpiece. Claim a one year warranty provided by the manufacturer as your purchase the product. This is the kind of product which is ideal to be used when fishing for trout, walleye, salmon, and also stripers. It should be noted that this set included 3 steel shades to make things look so simple. The lures have been made to match the fish color and the VMC coated hooks are suitable for both salt and fresh water. This is the kind of product which is ideal for beginners and trainers. You will never be out of the league if you are into this amazing product. This product has been manufactured to withstand the effect of both salt and fresh water. The eye-catching colors along with unique crank baits set the perfect scenario for a great session of fishing. This product is ideal to hunt for pan fish, crappie fish and many other types of fish. The laser realistic fish pattern with 3D eyes along with the high quality coating promotes a lure fish effect which everyone likes to witness. They have included the unique noise model with a set of rhythmic sound patterns in order to attract a wide range of fishes. This is a 25 piece standard kit which is of 1.2 inch length and it is available in five attractive colors. The manufacturers have used a special flash formula to make sure that the fishes are being attracted from a long distance itself. This is the specialty of this product. This product is of ideal size to small lures and crappie hooks. The price of the product is unmatchable and the user satisfaction is guaranteed. Experience fantastic and undisturbed fishing action with these crappie jig lure kits available in multiple colors. This is probably one of the best product available for fishing sports. This product is being made using soft plastic and they have never compensated the quality of the products for the material they use. The split tail body shape assures great grip with your hook. It should be noted that this product is being manufactured in China which has a great market for fishing sports. This fishing lure is available in different colors and it provides the user a great fishing experience which cannot simply be matched by any other product. This amazing package includes sets of 110, 48, 40, 17 pieces respectively and it comes in a unique compartment shaped plastic tackle box. It should be noted that this product is available in 3 attractive colors and it is up to you decide which will mostly suit the fish that you are planning to hunt down. The set also includes a plenty of soft plastic fishing lures, soft lead jig hooks, and lead jig hooks. This sets the perfect platform for an amazing experience of fishing. This is unarguably the one of the best soft fishing lure available in the market. This is the most popular tournament proven crappie anglers. Booby Garland is the pioneer in providing a totally different experience when it comes to fishing. It should be noted that these soft plastic fishing baits are highly durable and the manufacturers have structured it using a plump profile body. This is a value for money deal and the prices prove it than any other aspect. A standard pack includes 18 shades. Be a part of an amazing fishing experience by making full use of these crappie baits. The most highlighting feature of this nibble is the glowing formula which they have managed to include. It has the magical ability to attract the fishes you like the most from a greater distance. Distance doesn’t really matter if you are equipped with this heavy-duty gadget. They have also managed to present this amazing product with a no floating option which is simply perfect for filling tubes and tipping jigs. This product is available in a unique white color which provides the glowing effect. Make fishing better and less boring with these kinds of nibbles. It should be noted that these soft plastic lures are made to the highest standards using the high-quality material. The product has specifically been designed to capture big slab crappie into the zone of a feeding frenzy. Strike King has used their industry experience to add all the glamor and options to this product. This bait is only 1 3/4 Inch long, but the effect of the bait is quite significant. Quality raw material is their biggest strength in conquering the market. Be a part of this amazing fishing experience assured by Strike King and we are quite sure that you will never be disappointed. Jigs have become one of the best crappie lures due to their wide variety, versatility and effectiveness. A common rig setup for jigs is a 1/16 oz jig tied directly to 2-4 lb test line. If using a plastic jig, a lead head will first need to be inserted into the plastic body through the head and out of the tail. 1/16 oz to ¼ oz jigs (1.5 to 3 inches long) are considered large jigs for crappie. Early spring and winter are good times to use large jigs because baitfish are generally on the larger size as well. During winter, remember to keep the jig movement very slow due to the crappie’s lower metabolism. 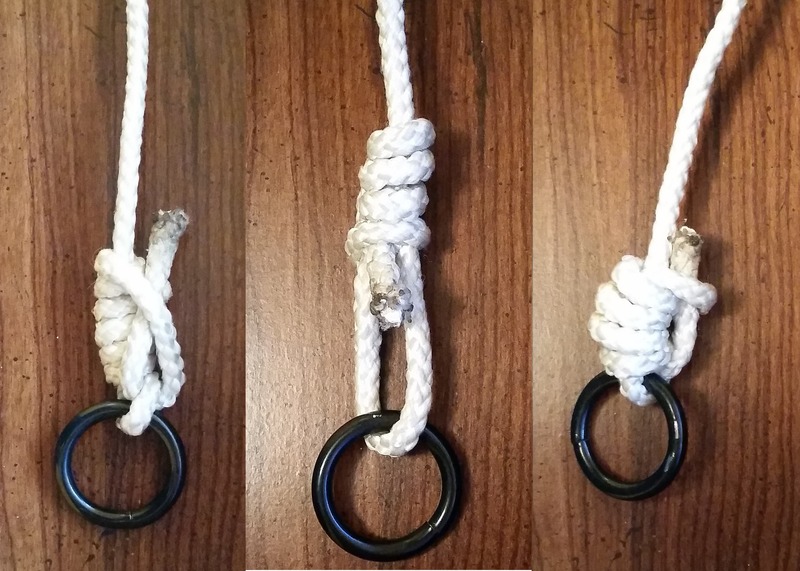 This can be done by choosing a smaller or floating lead-head, or by using heavier line. Large jigs can also be used when fishing for larger crappie in general…but remember, you will probably catch less fish overall! 1/100 – 1/16 oz jigs (less than 1.5 inches long) are considered small jigs. A good time to use a small jig is during the late spring, at about the same time baitfish hatch. Jigs work extra well when tipped with a piece of minnow. This adds an alluring scent and flavor that the jig otherwise wouldn’t have. Finally, take water clarity into consideration when choosing the size of the jig. In very murky water it may be hard to see a small jig, so size up. A tried and true minnow rig consists of a minnow on a hook, a sinker, and a float (aka bobber). It is common to hook the minnow either through the back (near dorsal fin) or through the lips. Use a light, bendable hook to prevent snags and to prolong minnow life. Remember to size the hook to the minnow; smaller hooks (No. 6-2) for small minnows and larger hooks (No. 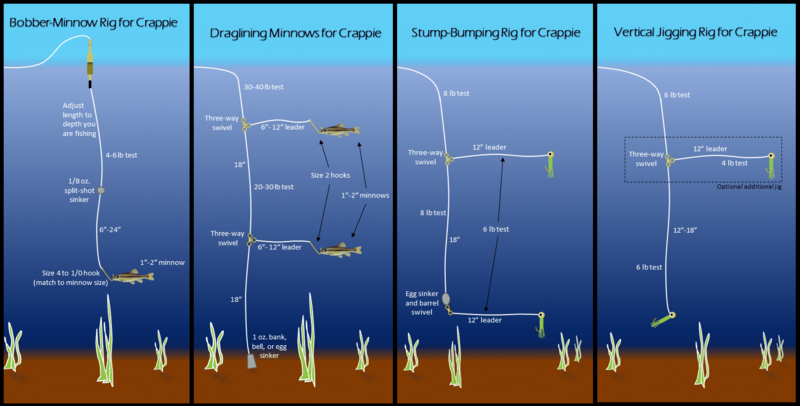 1 up to 1/0 or 2/0) for large minnows. Use enough weight to only keep ¼ of the bobber above water. Crappie will usually swim up at minnow, raising the bobber and thus alerting you. A slip bobber makes life easier when fishing deeper water in the summer and winter. 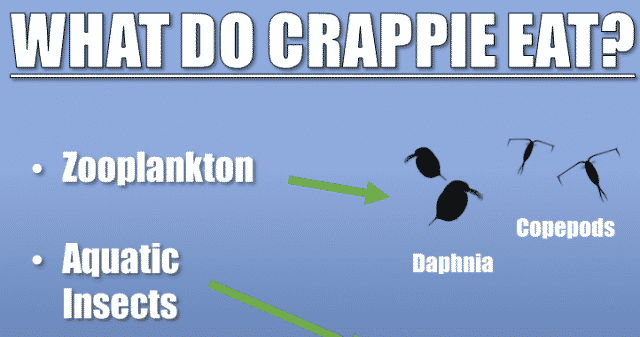 Read Crappie Fishing with Minnows to get detailed tips and tactics on this specific bait. Spinners are great if you want to cover a large area. Jigs and minnows are usually cast to a specific area, then either just sit there or are jigged. With spinners, you can cover a huge amount of water by continually casting to different spots and retrieving. This makes them one of the most versatile and one of the best crappie lures. You want to be careful when you retrieve to do it just fast enough to spin the blade. This makes it as easy as possible for a fish to bite. Experiment with a steady retrieve and retrieving with pauses to see what works best. Crankbaits, like spinners, are great for covering a lot of water. Crankbaits work well for fishing deep water too, due to their weight. This is great during the summer through winter when crappies are generally hanging out in deeper areas. Crankbaits are often trolled as well. This works best along weed beds, lake channels, or other underground structures. Diving crankbaits are good to use when you are after a specific depth. Lipless crankbaits can dive to whatever depth you desire and also swim with an enticing wiggle. Keep crankbaits on the smaller side (less then 2”) to match local forage. Try mixing and matching different aspects of each of these rigs. For example, don’t be afraid to fish a jig with a bobber or hooking a minnow onto the hook of a jig. If the water you are fishing is murky, add a spinner to add shimmer and vibration so the crappie can more easily sense your jig. If you have a fish stomach pump, you can see what the crappie has been eating, allowing you to match your jig size and color with the actual forage in your area. Experiment and see what works. If you’re not getting any bites after 15 minutes, change it up. Eventually, you’ll find a winner. Next articleWhat are the Best Hooks for Crappie Fishing?